We awoke Sunday morning with a smile. Ding! We had a text message with an image from across the country. Summer in upstate New York. 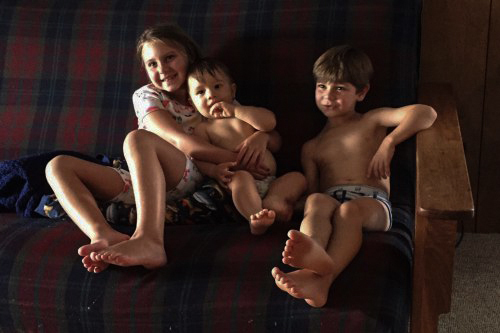 Three kids sprawled on a sofa, enjoying vacation. The sunlight streaming in from the left side, making the image seem like a Winslow Homer painting. It was a smartphone snapshot. And the phone had been held upright, in portrait orientation. So the sofa ran across the narrow part of the frame. There was plenty of bright curtain behind it and a lot of rug in front of it. Summer. The original, courtesy of Mary Sniezyk. 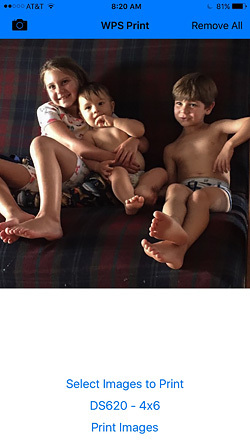 But we were drawn to the sofa and the three kids on it. A crop was called for. We fluffed up our pillow, saved the image to our Camera Roll and launched Lightroom mobile for a change. 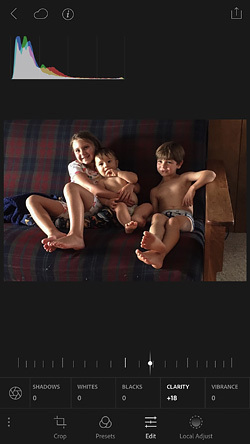 We blinked a couple of times to clear the sleep from our eyes and set the aspect ratio to 3:2, cropping the image with a finger so it was now in landscape orientation. Why 3:2? Because we wanted to make a 4x6 print. It worked well for the crop, too. We managed to completely avoid the bright curtain and all of the rug, too. 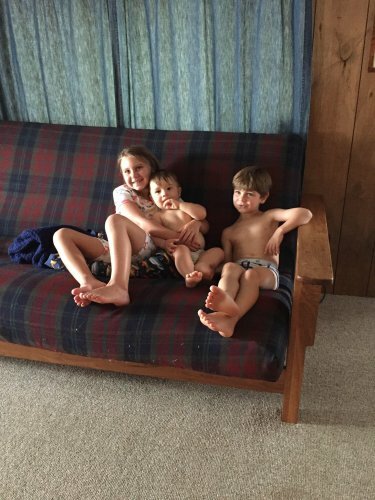 So we just had the dark fabric of the couch and its wooden arm rest in the background. The background wasn't quite dark enough, though. So we moved to Lightroom's editing tools and knocked down the Exposure a bit. We also knocked down the Highlights, which were pretty much blown out. Smartphones do that. WPS Print. Printing from bed. And we just couldn't help ourselves from adding a good dose of Clarity to sharpen things up. For one thing, we were enlarging this image with our drastic crop. When we liked what we saw, we fluffed up our pillow again, saved the image to our Camera Roll and, without even rolling over, switched our network connection from our router to the WPS-1 Print Server (which you'll be hearing about shortly) downstairs in the bunker. 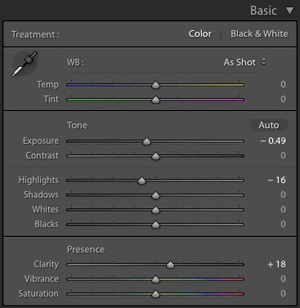 Lightroom. Adjustments made on the phone. Once connected, we used the free WPS print app to send the image to a DNP DS620 printer here for testing to make a few 4x6 prints, one of which was destined for the photographer. The edits on the iPhone screen were all in the right direction and we really did like the print. But later, when we'd come to our senses and gotten out of bed to look at the original on our calibrated working monitor, it didn't match what we saw on the phone's uncalibrated screen. Lightroom on the laptop did have the edits just as we'd made them when it synced the photo. They were just more timid than if we'd made them on the laptop. Since we were up, we thought we'd run the image through Alien Skin's Snap Art 4 to make a simulated oil painting out of it. Even older machines that can't run Photoshop's Oil Painting filter can achieve the effect with Alien Skin's Snap Art 4. Snap Art 4. An oil painting version. We leaned back in our chair and looked up at the ceiling to give this the serious thought it deserved, concluding Sunday mornings are not necessarily wasted when spent in bed. We've made a note to remember that next weekend.